Although Firefighter Bianca DeLuca is working 100 miles from home as a summer police officer, she was involved in an incident recently that required using the fire/rescue skills she learned here at the KPVFC. 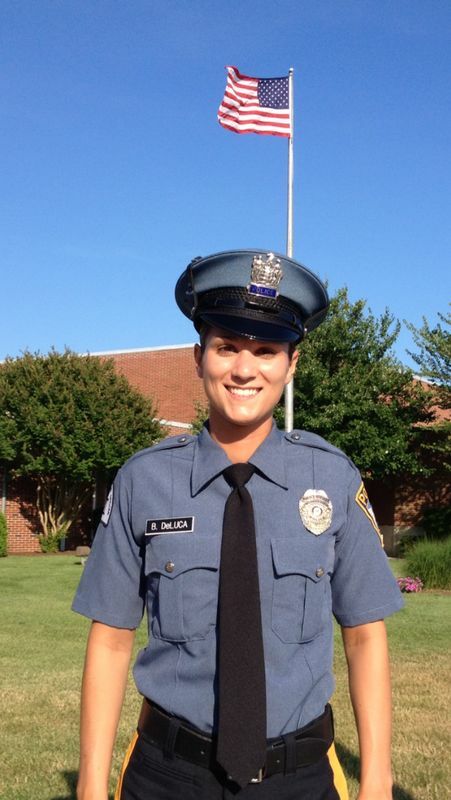 As we reported last spring, FF DeLuca was hired as a summertime class-II patrolman with the Wildwood Crest Police Department and she is presently completing her second summer season there. This past week, while on routine patrol, Bianca witnessed a two car accident at the intersection of Pacific Avenue and Aster Road. Further investigation found a jeep on its side with two occupants trapped. Although the trapped driver and passenger were uninjured, the position of the vehicle precluded them from self-extrication. Bianca immediately took control of the situation and assisted the occupants through the back hatch window of the unstable vehicle. Obviously the officers and members are extremely proud of Bianca’s actions, but not surprised at all. We can’t wait for Labor Day to have her back and riding out of the Beidler Road station. Way to go Bianca, great job, we’re very proud of you.